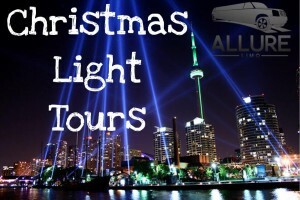 We have mapped out a breathtaking Limousine Christmas Lights Tour package which includes some of the best decorated areas in Toronto that you won’t believe until you see! Any special requirements can also be mapped into the tour as per request. This is perfect for personal, family, and corporate events. 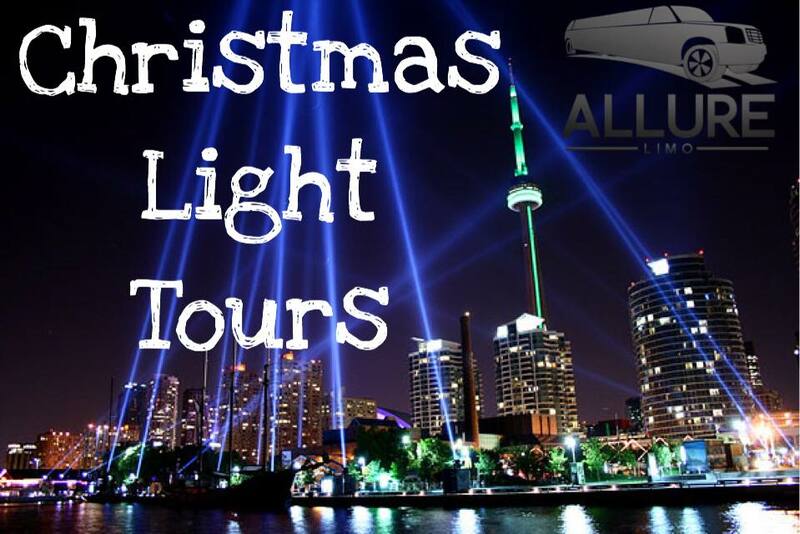 Our Toronto Christmas Light Tours are 2-3 hours in length in one of our fine stretch limousines (10-16 passengers) or in one of our Sedans/SUVs (2-6 passengers) with a professional chauffeur who will also be your tour guide. You will be welcomed with Christmas music through our built-in sound systems and entertainment from our plasma/LCD TV’s during the tour. Guests may bring their preferred champagne, wine, or other beverages if desired. Complimentary water is provided and champagne is also available from Allure Limo & Services at an additional cost. Toronto is waiting for you – Explore this holiday season in style! For Bookings or Inquiries, Please Contact Us!